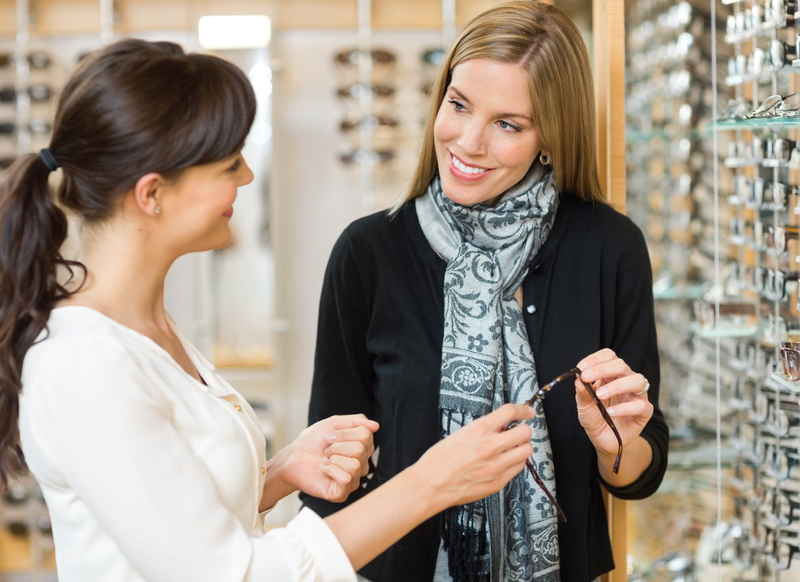 They are designed to enhance your comfort, vision and eye safety during work and play. 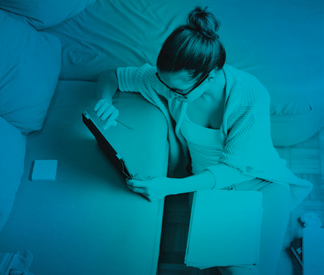 High Energy Visible (HEV) Blue light exists outside from natural sunlight as well as indoors - emitted from digital devices and compact fluorescent lights. 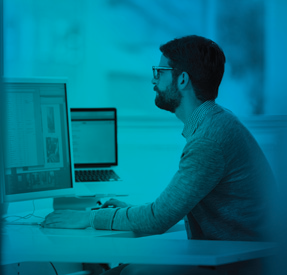 Studies show that blue light can impair our vision and our overall health, linking it to digital eye strain, retina damage, worsening symptoms of eye conditions such as diabetic retinopathy and macular degeneration and disruption in sleep patterns. Avoiding HEV exposure is easy with BluTech. 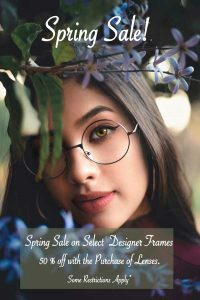 BluTech lenses provide maximum protection and enhanced performance for indoor and outdoor settings, by naturally filtering the high energy wavelengths that are the most damaging to your eyes and your health. With the rise of electronic devices, your eyes are now exposed to increasing levels of harmful light spectrums. 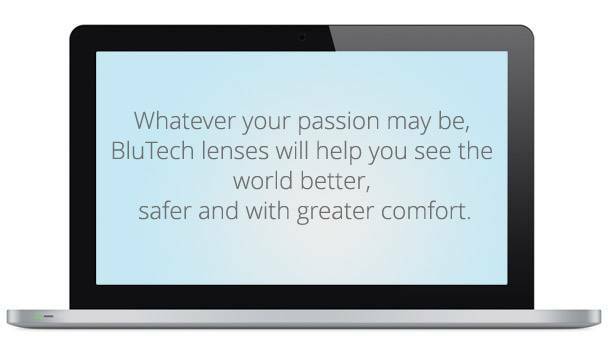 BluTech Lenses protect your eyes from the dangers ofUV rays and harmful, high-energy blue light for a lifetime of vision preservation and performance.Everyone interested in benefiting from lifelong healthy vision, especially those at high-risk of macular degeneration, should wear BluTech Lenses. Learn more about Management of Ocular Diseases. Whether it’s a phone, IPad, laptop, ATM or gas pump... they all go dark when viewed with ordinary polarized sunglasses. Not anymore. BluTech combines a polarizer with natural pigments and dyes to ensure that whatever device your are viewing outside is, well... readable. 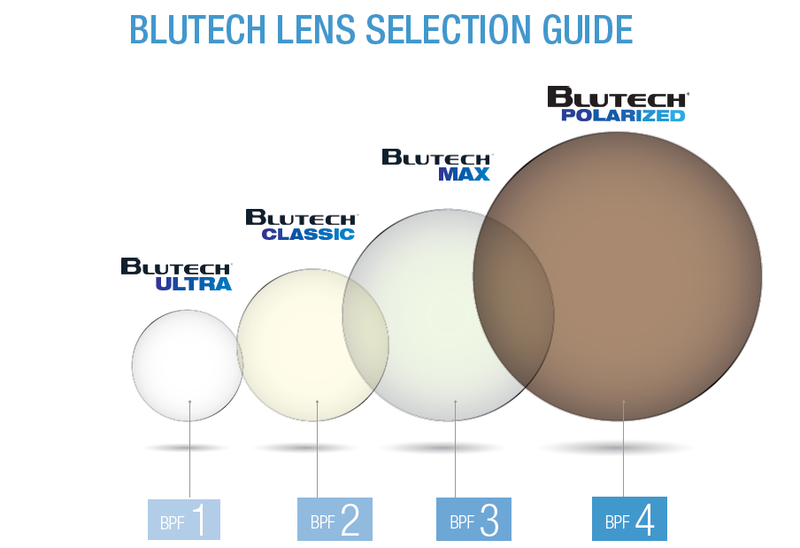 BluTech MAX offers the highest level of blue light filtration of any lens in our collection. It features Blue Light Plus™ — a proprietary formulation offering a more complete near-clear blue light protection.